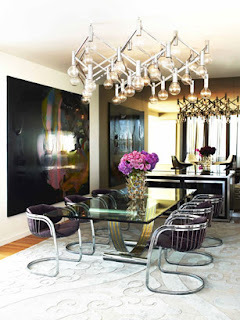 I fell in love with this Darryl Gordon Design on the cover of the Sept/Oct 09 issue of Vogue Living. Instantly I had a new favorite fabric to add to the list: the Christopher Farr 'Carnival' seen on the restored club chairs (Farr fabric to the rescue!) A perfect balance was achieved with yet another favorite fabric by Summer Hill. The pillows are Summer Hill 'Hollywood Squares' in Indigo. Fabulous accent wall on far side. 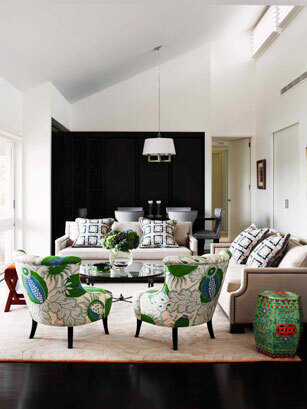 I love how the bold accent of animal skin really reads as a neutral. It falls away into the room of cream and dark walls. Crisp and clean yet not fussy one bit. 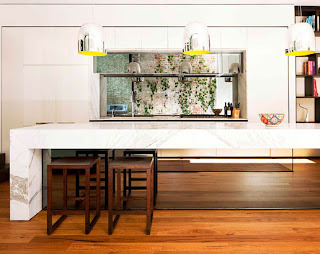 Do not equate contemporary design with discomfort. 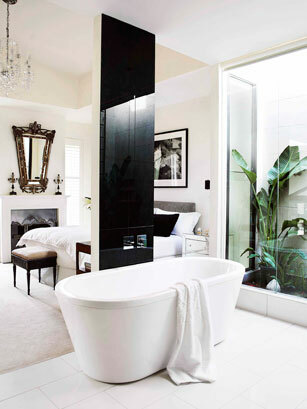 Clear as can be here (literally), clean lines are sumptuous and inviting. This is a testiment to what I tell all my clients "less is more" Every piece here speaks for itself, yet at the same time, there is a relationship between all. 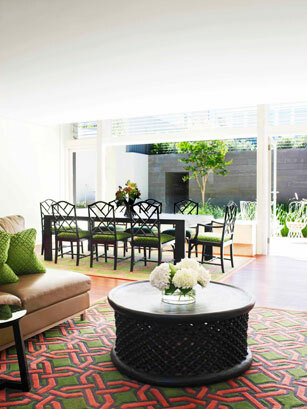 The two chairs as a pair have a stature that balances out the larger scaled pieces in the room. This is art! This room reflects confidence with a underlying playfulness. A masterful use of space. This is a beautiful composite of different materials - bold and beautiful - strong and striking. Crazy over the pendent lights! 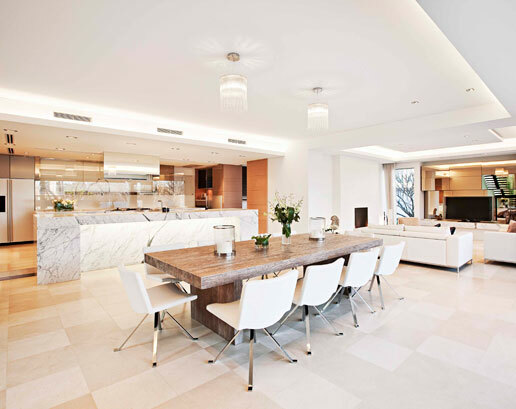 Predominently white all across the board- the small uses of wood, darker stone, and chrome really catch one's eye. Who doesn't want to live in a tree house? 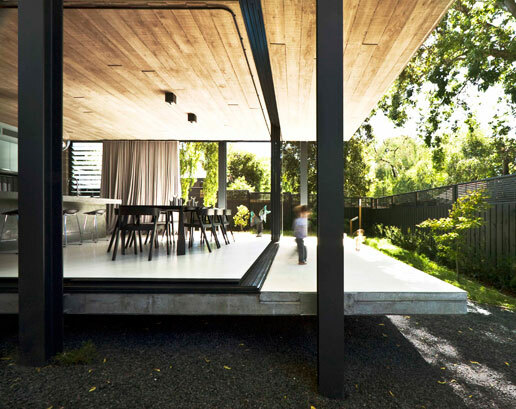 Who wouldn't want to live in this house that FEELS like a tree house? 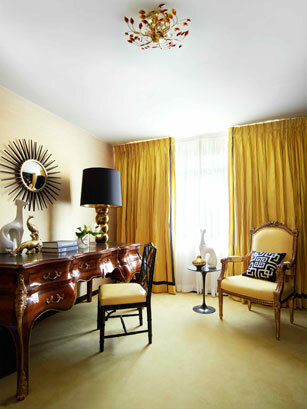 Showering the room with sunshine, the yellow in this design embrasses you and makes you want to stay...and work!? I enjoy yellow and navy together, it's a nice pop of blue on the chair.